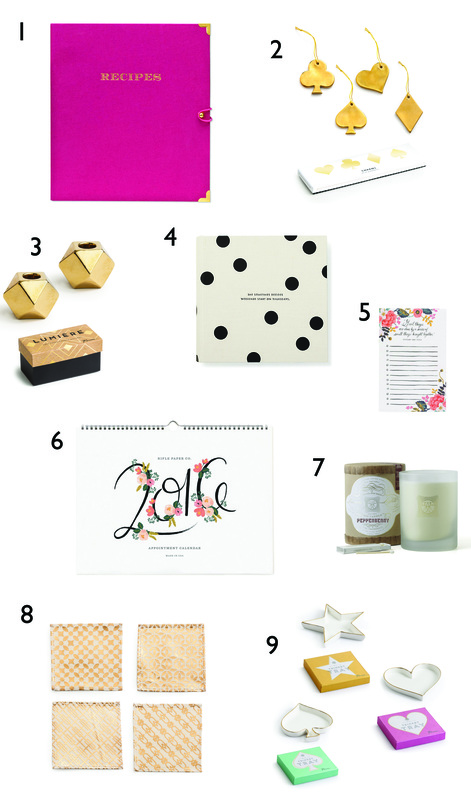 We’re kicking off our annual holiday gift guide series with some fabulous gifts for the home. Calendars, recipe binders, cool cocktail napkins, bold candle holders and more! Whether you want to help accessorize a friend’s new home, add some style to a home bar or share fun memories… we’ve got a little something for everyone on your list! All products are available in-store and online! Get them while supplies last!